If you are among the lucky few who have Android 7.0 Nougat already, SwiftKey's got your back with some updated emoji. Nougat brought ample new emoji, and now SwiftKey has been updated to take advantage of them. This feature previously came to the beta, but now it's in the stable version. 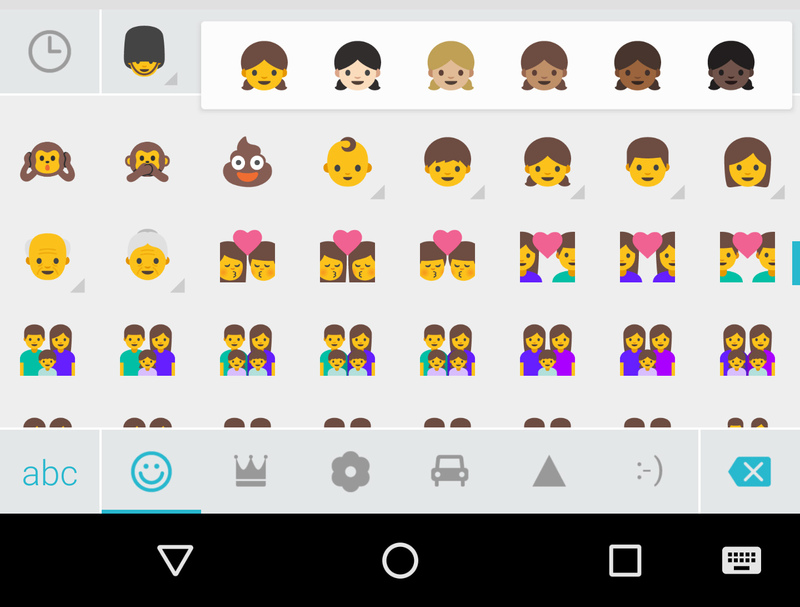 Android 7.0 added some new emoji, but it also implemented "diverse emoji." That basically means varying skin tones for the new humanoid emoji. Anything with multiple skin tones will have a drop down arrow. Long-press them to pick from the available versions. The default version is the bizarre "Simpsons yellow" color. SwiftKey has also made some adjustments to sync following the recent issues, but these were actually included in the last update.